Bali is truly a feast for the senses. A beautiful island paradise for the eyes to delight in, calm and easy tones to relax the ears and fragrant tropical scents for the nose to enjoy. With the white sand beaches under your feet, it is the vibrant and sensational Indonesian food that can easily steal the show at any point during your visit to this island paradise. The islands of the Indonesian Archipelago are blessed with such a wide variety of ingredients and influences that it is possible to find almost every taste here. 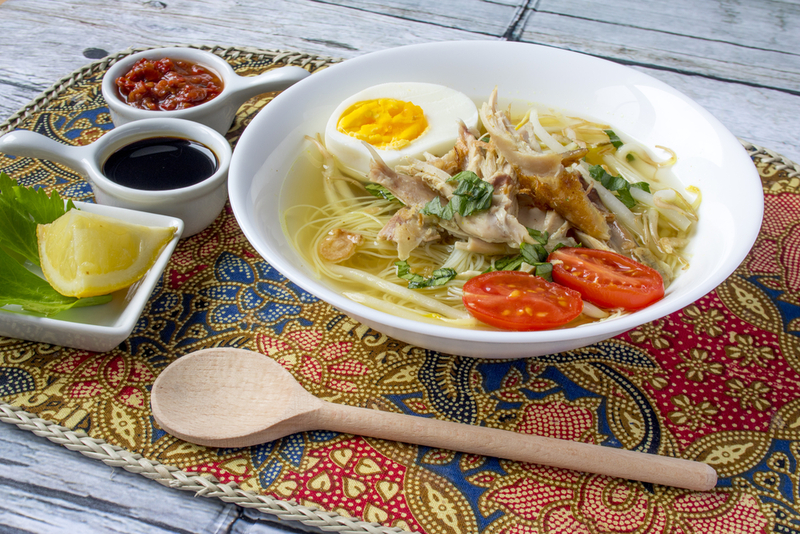 We’ve listed our 9 favourite Indonesian delicacies that you must try when you visit Bali. 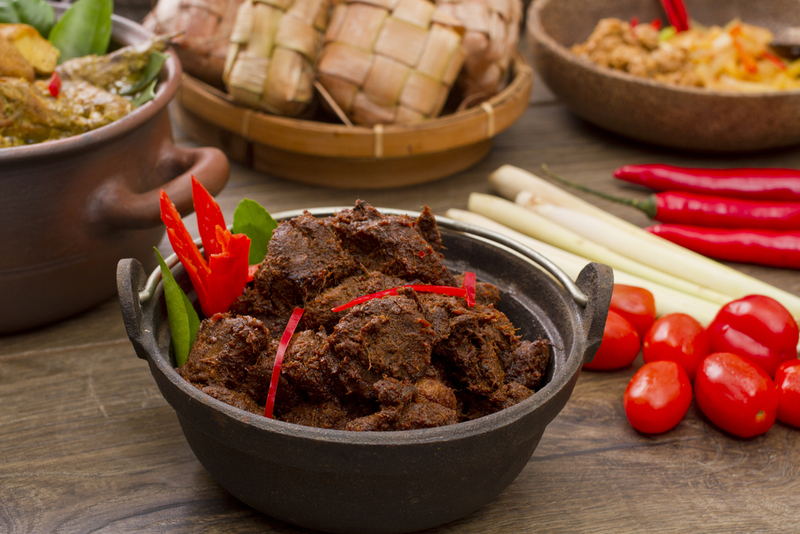 Beef Rendang is a rich and tender coconut beef strew that hails from Sumatara, Indonesia. 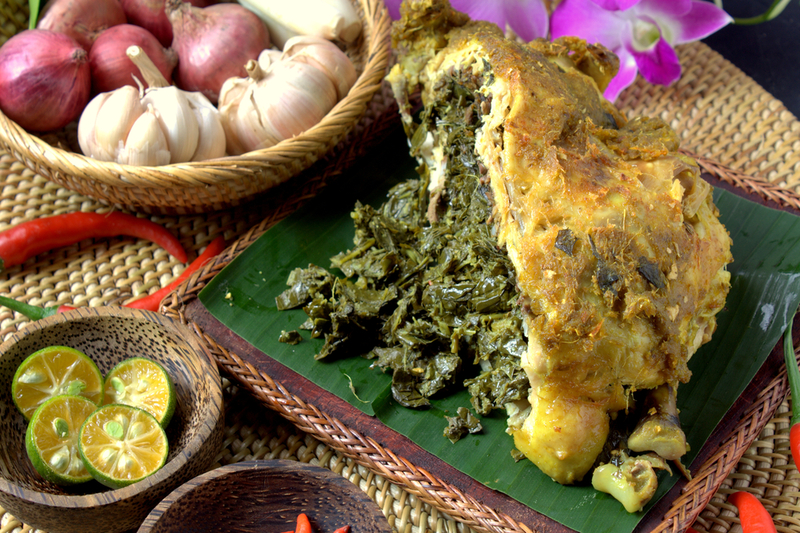 The Minangkabu people are attributed with creation of this hearty dish that is usually served at special occasions and to important visitors. If the meat is very tender, then that’s a very good sign as a Beef Rendang at dinner time will definitely satiate the biggest appetites. One of the most widely eaten Balinese dishes, Ayam Betutu is a seasoned roasted chicken and rice dish that is very popular among the locals. Ayam is chicken while Betutu is a spice mix that consists of shallots, garlic, turmeric, ginger, galangal and much more. The Betutu mix is usually applied to the chicken that is then either roasted or steamed. Easily one of the most difficult dishes to find anywhere else, Gudeg is an excellent example of how Indonesian food utilizes its vast array of ingredients effectively. This Javanese dish is a young unripe jackfruit that is stewed for hours in palm sugar and coconut milk. 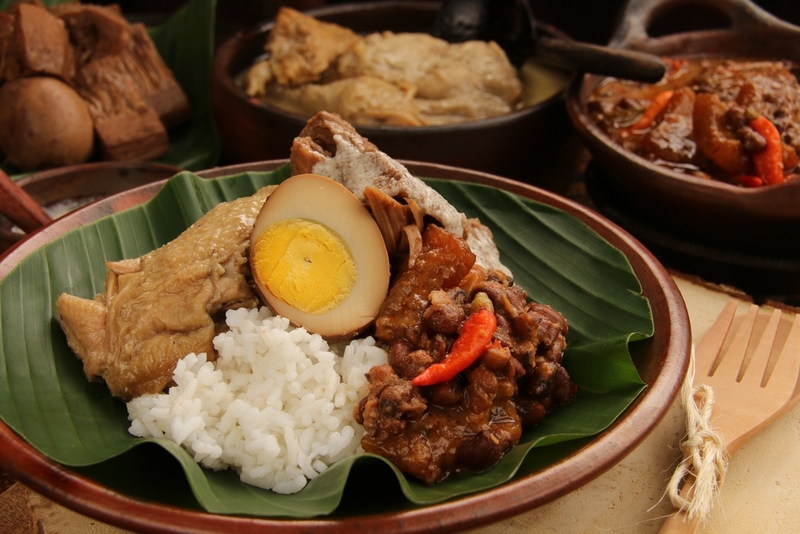 When finished,Gudeg is eaten with rice but it can be customized by a variety of spices and accompaniments. 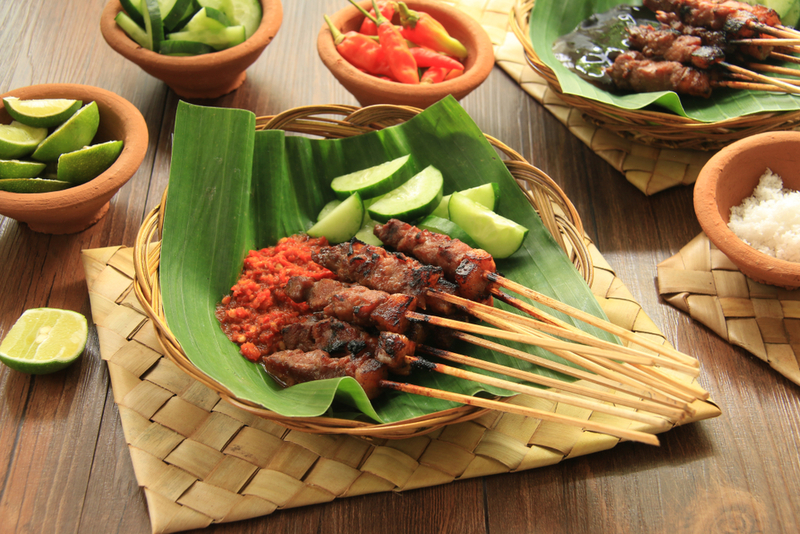 The satay skewer is one of the most recognized, if not the most recognized, Indonesian food implement in the world. This popular Indonesian street food is probably something that many visitors might have tried before. Satay can consist of a multitude of ingredients ranging from tofu to fish, with chicken being the most popular option. You will find satay all over Bali and it will always be close at hand! 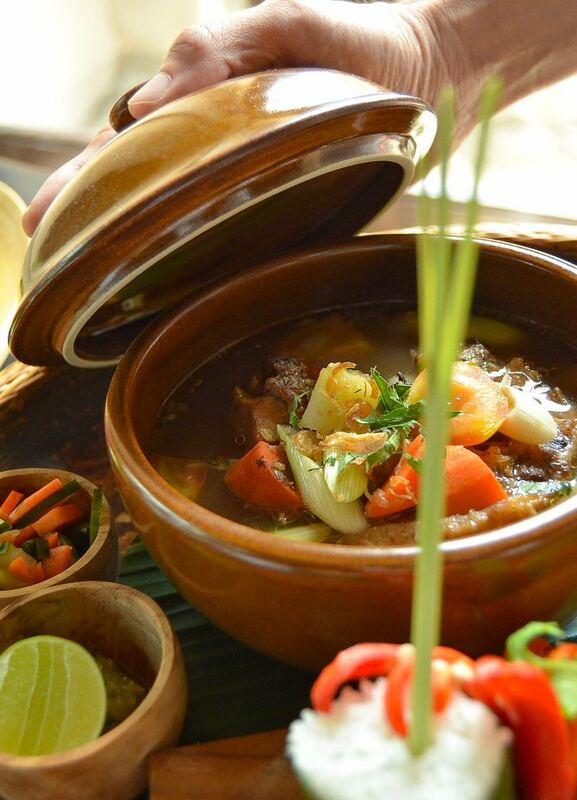 At the InterContinental Bali Resort, we love to put our signature on traditional Indonesian dishes. 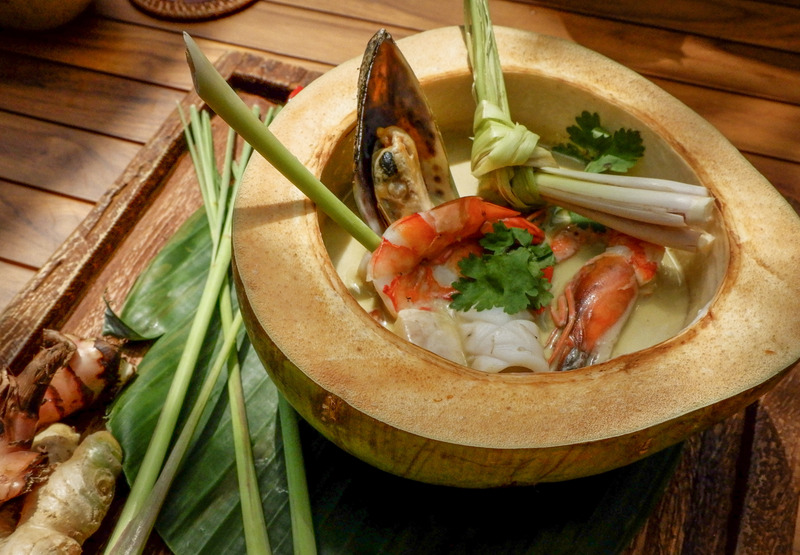 Soto Klungah is one such dish, which is a young coconut mixed seafood soup. Served in a coconut husk, this dish tries to take from the best that Indonesian seafood has to offer to produce a really intriguing palate of flavours. The oxtail soup is something that makes an appearance in various cultures across the globe but there’s no doubt that the Indonesian equivalent is one of the best around. Made with tender cow tail that just falls off the bone, chunky vegetables and aromatic spices, Sop Buntut is a force to be reckoned with. Tuck into this dish after a long day of intense activity and you will get the satisfaction you are looking for. 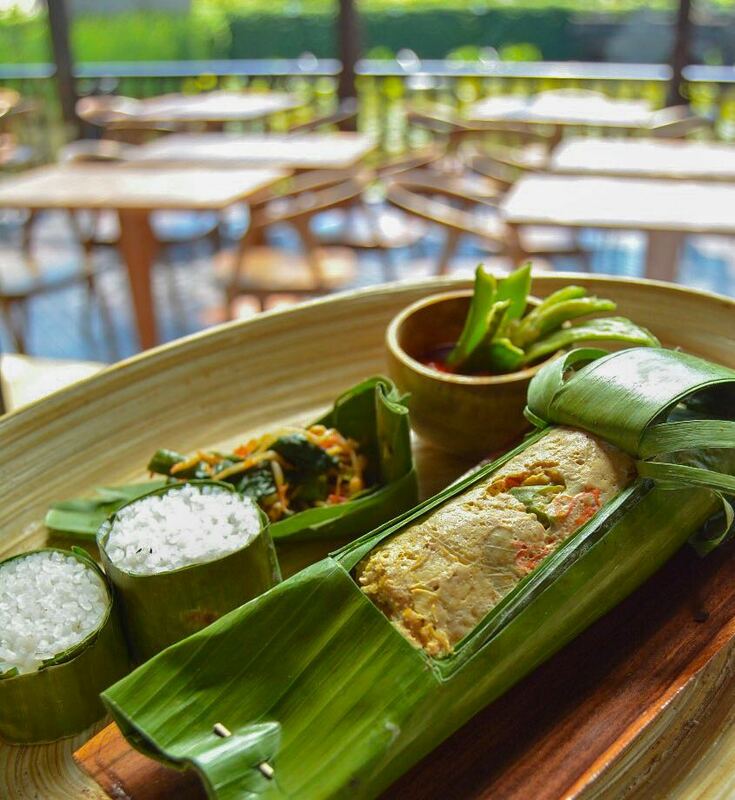 A Balinese classic dish that has stood the test of time, Timbungan is when chicken (ayam) or duck (bebek) is wrapped in leaves with all kinds of local spices and steamed in a bamboo trunk. 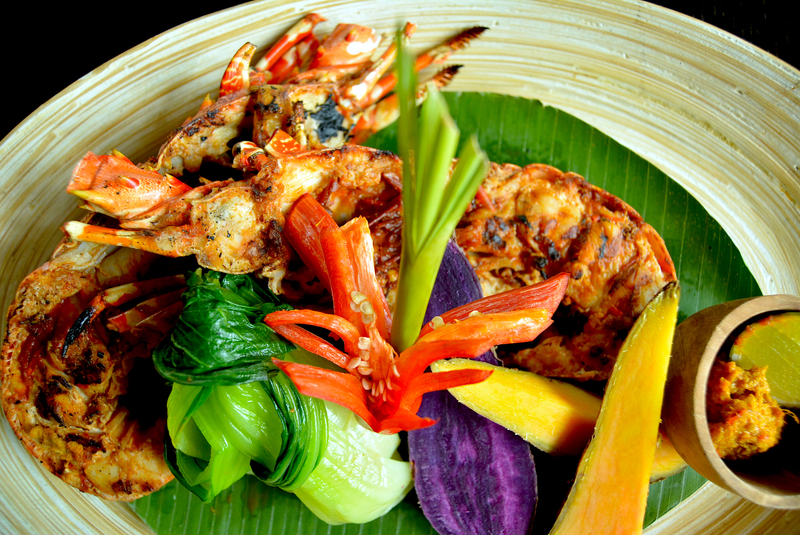 This succulent and aromatic dish really hits the spot and is one of the Bali’s hidden treasures. A “bumbu” spice mix can be made using a traditional Indonesian “cobek” (mortar and pestle) by grinding up the spices just before making the dish. Bumbu Cobek dishes are spicy and full of punch and this is what makes it memorable. At the InterContinental Bali Resort, our take on the Bumbu Cobek features lobster and a delicately balanced mix of spices. The new-look Taman Gita, InterContinental Bali Resort’s specialty Indonesian/Balinese restaurant, will serve many of these exquisite dishes. The Soto Klungah, Sop Buntut, Timbugan and Lobster Bumbu Cobek are our specialties and we are looking forward to giving you the best of Balinese and Indonesian food.